Living a Fit and Full Life: Celebrate Spring with Sparkling Ice Tea! Enjoy a new sipping sensation! The great taste of juicy peaches and refreshing brewed tea come together as one in this sparkling beauty. This is no ordinary tea! We perfectly pair sparkling lemon flavor and a special blend of black & green tea to make every sip fizz with fun refreshment. Surprise and delight your senses with the perfectly blended, sparkling taste of fresh, sweet raspberries and home-brewed tea. It’s one-of-a-kind. Now that the weather is starting to warm up, it's the perfect time to enjoy a warm spring day with an ice cold Sparkling Ice Tea! 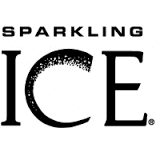 I'm a huge ice tea fan so I knew right away I'd enjoy these ice teas by Sparkling Ice. I love that they're low in calories and have all my favorite flavors. They taste incredibly refreshing and I absolutely love how delicious they are! Raspberry, peach, lemon and half and half are all amazingly refreshing and the perfect way to enjoy a warm spring day!